It's poetic that our 25th anniversary year is when you'll start to see some of the vision for Magic's future becoming a reality in the present. A large part of that vision involves seeing the Magic: The Gathering characters, worlds, and spirit applied in the wild and exciting territory beyond our signature card game, on new games, products, and entertainment. It was in this spirit of venturing beyond that we considered making a change to the basic symbol of our brand: its logo. To venture outward, we would need a brand flag we could plant not only in the territories we own, but also in all the new ones we would claim in the future. Today I'm going to show you how our new logo system is going to look planted and unfurled in places we know well, and some uncharted lands, too. 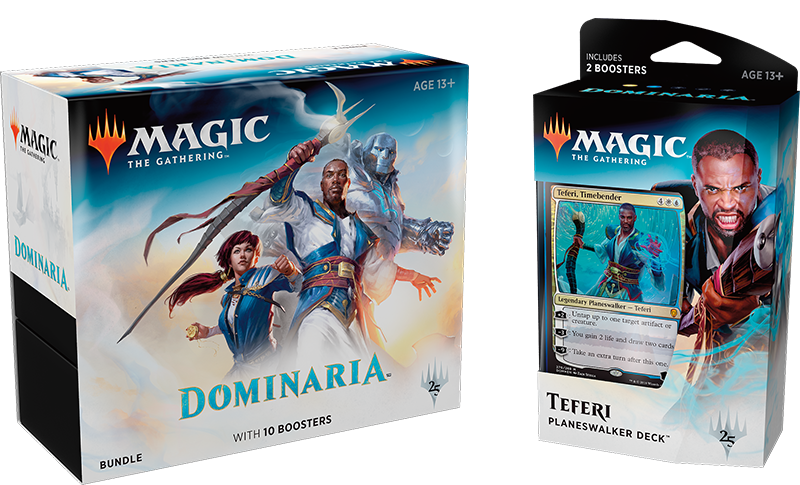 As soon as April 21, at the Dominaria Prerelease, you'll be able to get your hands on the first printed product bearing the new look. You'll see our brand icon, the Planeswalker symbol, promoted to a command position in our identity system. Going forward, this symbol, often in mythic orange color, will be the thing that catches your eye, and the thing that signifies an official Magic branded product. From what we've heard so far, players are stoked about what they've seen of the Dominaria cards on the interwebs. But when players finally have cardboard in hand, surely they'll want to shield the cards from spills and chip dust. You'll be able to do just that with these soon-to-be-released Ultra Pro card sleeves sporting this savvy reinterpretation of the original card back. You're also just a few clicks away from a subtle twist of the logo as it will appear very soon in Magic Online. This new version reconfigures the logo's visual emphasis, placing focus more appropriately on the brand name and icon. This game is an close-as-we-can-get-it transliteration of the physical cards onto your PC, and the logo is, in turn, an as-close-as-we-can-get-it version of the Magic logo. 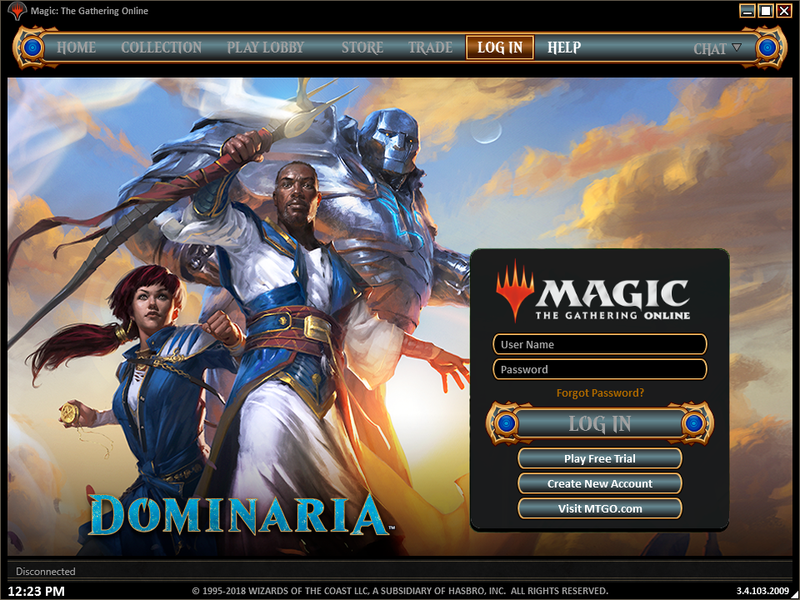 It's likely that you've already seen the Magic: The Gathering Arena logo proudly flying here on our website, in advertising out in the wild, and possibly in the MTG Arena Closed Beta if you're lucky enough to be one of the test drivers. 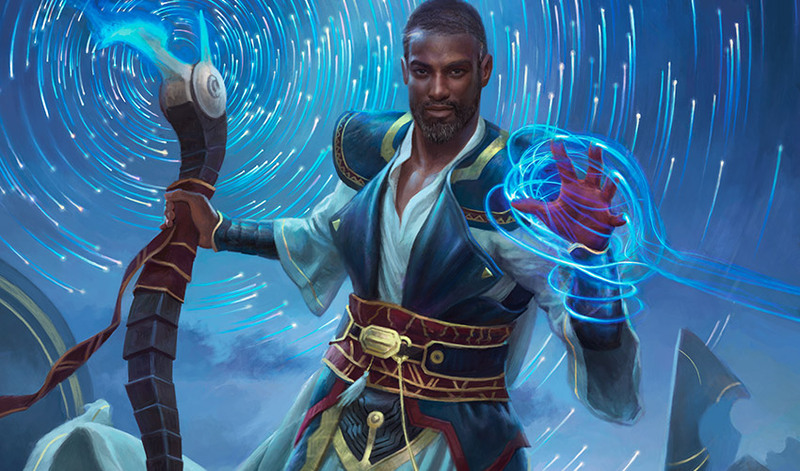 It's fairly evident that the Magic logo, the MTG Arena logo, and the Magic Online logo all fall into the same basic footprint, anchored by a prominent Planeswalker symbol. This alignment is by design. Any logo you see now or will see in the future that falls into this footprint represents a product or program where you play, watch, collect, or otherwise enjoy the Magic signature card game. Which, of course, leaves an open question about all the things we plan to do beyond the original card game. 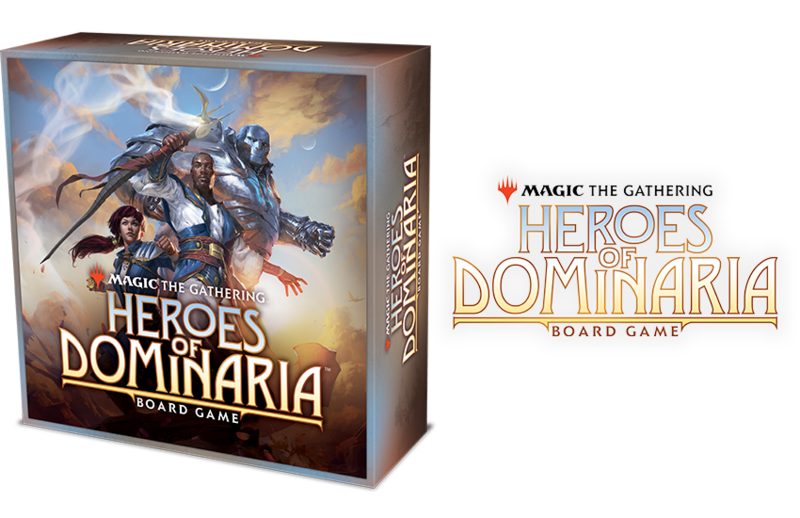 As it turns out, the world of Dominaria will be bringing you gaming fun in a brand-new form—the Heroes of Dominaria board game. Heroes of Dominaria is a wholly new gameplay experience that requires zero knowledge of the card game to enjoy and master, but will reward Magic card game fans with familiar bits of arcane nostalgia in names, places, and concepts from the world of Dominaria. 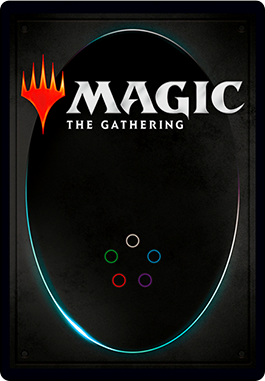 The game does not include Magic cards, so it follows a different logo structure—a wholly new logotype endorsed by the Magic: The Gathering secondary logo. This structure allows a new game to set its own tone, and to establish new branding territory. Together, this branding format and the one shown above allow you to know if you're jumping into an expression of the card game you know and love, or you're venturing into totally new entertainment (featuring the characters and worlds you know and love!). A link to your online portfolio (if you have one). Three JPEGs (maximum of 1,500 pixels square), each one a representation of one of your design superpowers.